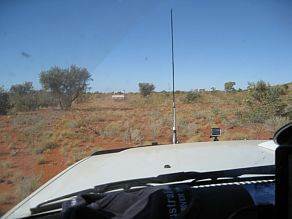 Possibly in September 2020 we may run this trip again and you will have the chance to join a 4wd tag along tour traveling to one of Australia's most remote desert regions, you are unlikely to know, or meet, anyone else that has been through an Australian region as remote as this, ever. A once in a lifetime opportunity for sure. 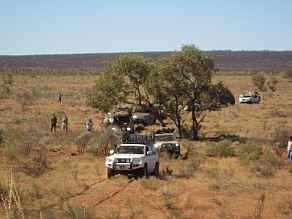 You will be following the route taken by Australian 4x4 Tag Along Tours in July 2014 and each year since on a Hay River 4wd tag along tour through an area where there are little or no tracks whatsoever for almost three days. There are little or no tracks because no vehicles other than those travelling with Australian 4x4 travel through this region, and that is only once a year, and our tracks of the year before have either re-vegetated or blown over. Nature has a habit of reclaiming her own and has certainly done it very well out there. We will have 14 days for the trip and a lot of fun is in store for those 14 days. In July 2014 Australian 4x4 Tag Along Tours had the unique opportunity on our desert trip to travel through one of the most remote regions, if not the remotest region in the North Simpson Desert with John Cantrell, the owner of this business, as tour guide and trip leader. John has decades of 4wd driving experience, both in Australia and extensively overseas and sometimes in extremely remote places, and is one of New South Wales leading, Nationally Accredited, 4wd driver training businesses under the banner of Australian 4x4 Driver Training. Our original route through the North Simson Desert took us from Batton Hill to Mt Knuckey via Mt Barrington and south of the Adam Ranges and then east again and back onto the Hay River Track at Lake Caroline. Some of the subsequent trips have travelled much the same route, others have travelled from Mt Barrington to the Tropic of Capricorn on the Hay River Track depending on the conditions that we find when we are out there. The original journey to Mt Knuckey and then to Lake Caroline was through country without any tracks and gave the trip participants an almost unique experience in Australia these days - the opportunity to travel approximately 185 kilometres with absolutely no tracks to follow of which about 125 kilometres no vehicle had ever been through. The original trip was over 12 days but subsequent years have seen that increased to 14 days so that we could visit other iconic Outback destinations after we had finished our North Simpson and Simpson Desert crossing. We will leave Marree as usual on day one with us heading for Oodnadatta and the Pink Roadhouse, our route will take us via Lake Eyre South and William Creek. Next on the list will be the ruins of the old Dalhousie Homestead before having the chance to swim in a mound spring at Dalhousie Springs, with its constant water temperature. Mt Dare Hotel will be our next stop. Mt Dare is always a great destination and they look after us very well whilst they are our hosts, a good feed if you don't want to cook yourself, great camp site and, normally, excellent showers. The Never Never and Hay River Tracks 4wd Tag Along Tour heads next for Alice Springs but first we pay a visit to the old Homestead of the recently deceased Molly (Mac) Clark at OldAndado. Very interesting and she must have been a very resiliant lady. We have a choice of routes for the next leg of our journey towards the North Simpson Desert, either up the Stuart and Plenty Highways, not much happening along there, or we can take the route through the East McDonnell Ranges, great scenery but a longer route and, therefore, a longer day. It's now into the desert and the start of the main reason why we are there, the Never Never and Hay River Tracks 4wd Tag Along Tour. After a good nights sleep we will make a start towards Mt Knuckey to the south east and 125 or so kilometres away and, if no other vehicles have been through since our July 2014 trip, there will be no visible tracks for almost the next three days. Heading back to the Hay River Track from Mt Knuckey and a distance of a little over 50 kilometres should see us camping that night a little south of Lake Caroline, and our first night of desert camping on a recognised track. On a clear night, and nearly all of them are, the stars will blow your mind. Breathtaking with a 360 degree panoramic vision of more stars than you ever knew existed. Towards the end of the Hay River Track we head west for a short distance as we cross Shotline. If we meet anyone along this stretch, it is fairly rare to do so, they always seem just a bit jealous of us. You will find out why when we do it. We are pretty much onto the home run into Birdsville now but not without a stop at Poeppel Corner to view the mark where South Australia, Queensland and the Northern Territory meet, a crossing of Eyre Creek and a climb of Big Red. Will you and your vehicle make it to the top of Big Red or will you have to resort to using one of the many chicken tracks? 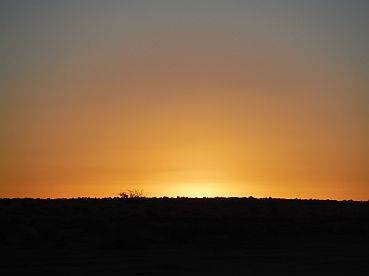 Birdsville has the promise of a welcome hot shower and most will probably opt for a meal at the iconic Birdsville Pub before we head for Innaminka via Walkers Crossing and possibly even the Old, or Inside, Birdsville Track. Innamincka is one of my favourite Outback destinations with its picturesque setting alongside the magnificent Cooper Creek. 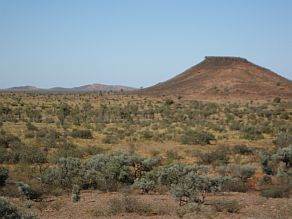 Innamincka and Cooper Creek are the centre of interest around the fated Burke and Wills expedition and the misfortune that fell on them and King on their return from the Gulf. Would be good if we could stay here for a while but we will need to move along, however, not before we have the chance to visit some of the landmarks. Next stop Cameron Corner via the Old Strezlecki Track, Merty Merty and what used to be the Yellow Bus. An evening at Cameron Corner will let you play a round of golf in three states if you like or to stand on the spot that marks the joining point of New South Wales, South Australia and Queensland, the store is actually in Queensland, only just, or just chill out and enjoy the hospitality of Fenn and Cheryl over a cuppa, or even a cold something. On our last day and now through the dog fence and into the Sturt National Park as we head for Tibooburra, Milparinka and, finally, White Cliffs. 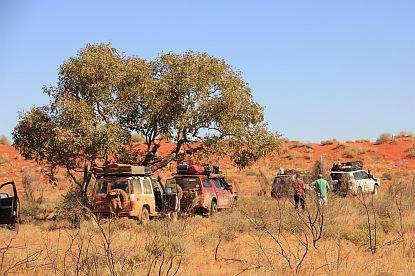 Australian 4x4 tag Along Tours will supply a fully equipped support vehicle for this Never Never and Hay River Tracks, Simpson Desert and Outback 4wd tag along tour that will have any required recovery equipment, satellite phone, personal locator beacon, first aid kit and so on.